TabletKiosk P.O.S. 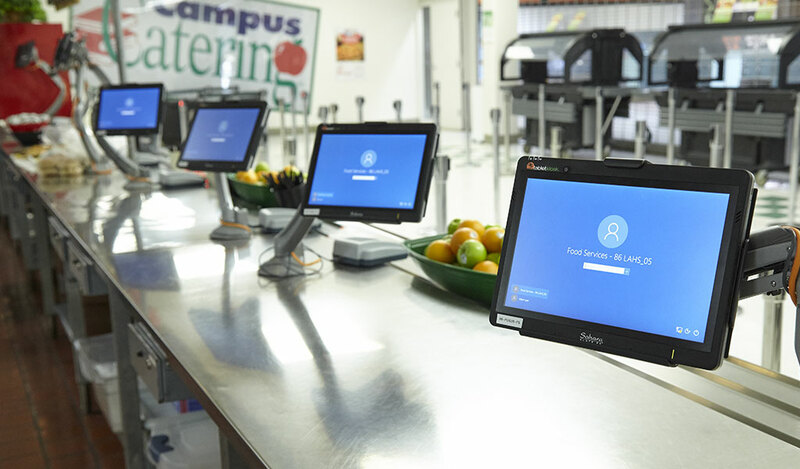 Solutions allow schools to leverage any existing nutrition software suite to create enhanced food service terminals. Improve your district’s food service efficiency by implementing Commercial Tablets by TabletKiosk as a mobile payment and ordering terminal. 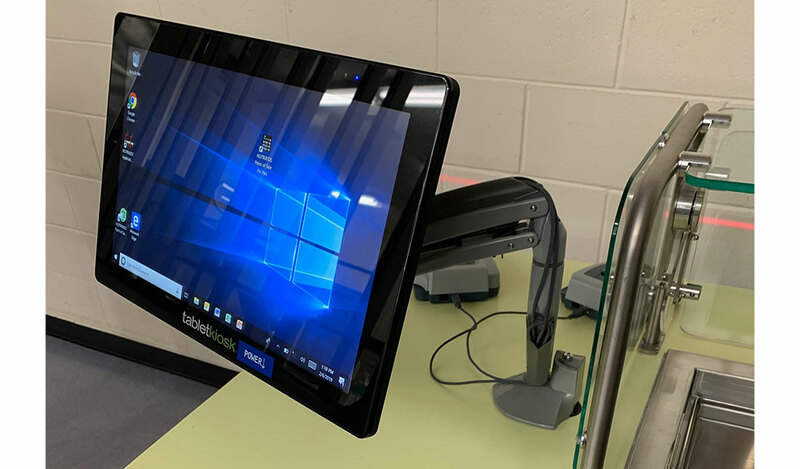 Food service operators will be able to interact with students anywhere on campus using the m130T or m170T Commercial Tablet to provide an efficient mobile P.O.S. Solution. Compatible with traditional or web based nutrition software, the m130T and m170T Commercial Tablets allow for seamless replacement of traditional, bulky P.O.S. terminals to better utilize counter and cart space. The dedicated TabletKiosk School Nutrition Team helps districts customize their P.O.S. Solutions to give operators total mobility by decentralizing the serving area and bringing food to the students. 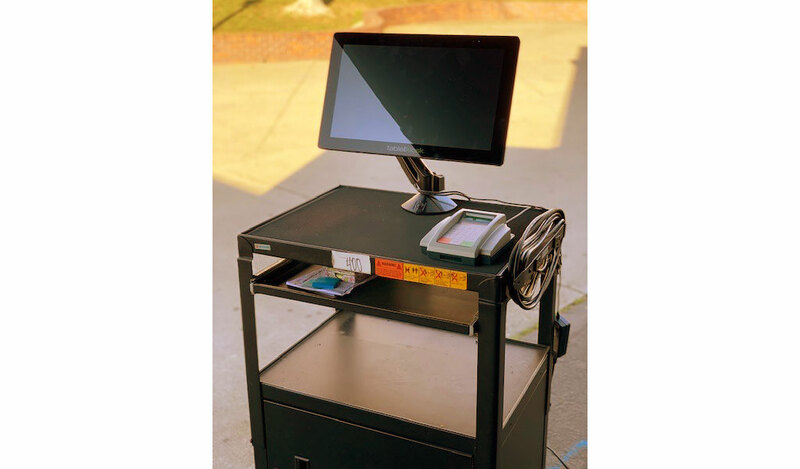 TabletKiosk’s Commercial Tablets feature a HIGH BRITE outdoor view-able screen and an integrated battery that easily lasts throughout multiple serving periods. Built-in WiFi enables the Commercial Tablets to capture orders and transmit them securely from anywhere on campus. 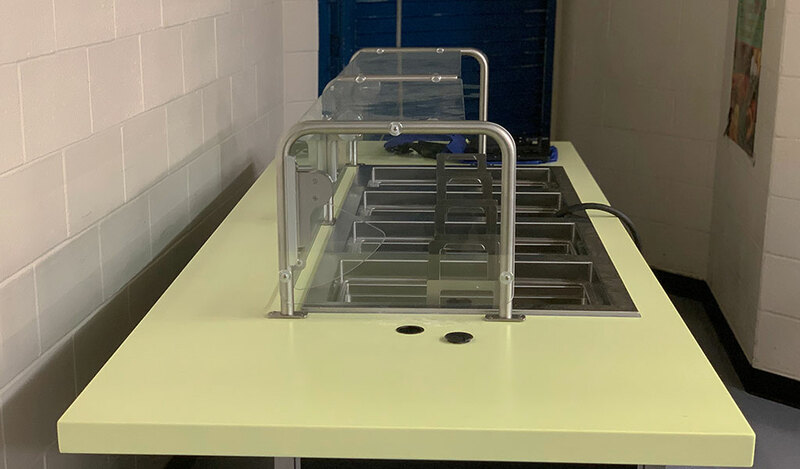 Utilizing our proprietary mounting solutions, the Commercial Tablets can be adjusted to fit any counter, tabletop or food cart. They can easily be paired with industry standard barcode scanners, magnetic stripe readers, PIN pads, and cash drawers to make a complete P.O.S. Solution for both the operator and student. Service and Leasing contracts available. For more information about implementing TabletKiosk P.O.S. Solutions please contact sns@tabletkiosk.com. As a value-added service to our customers, TabletKiosk also offers the unique benefit of device customization for those looking to promote a private label solution or solution-oriented bundle. We recognize that creating a custom technology solution can be a daunting proposition which is why we employ an in-house design team to help our customers maximize their ROI while extending the visibility of their brand. For more information about custom branding TabletKiosk products, please contact sns@tabletkiosk.com. As one of Microsoft's original Tablet PC hardware partners, TabletKiosk has been offering business centric mobility solutions since 2002. An unending devotion to customer-focused service and support has allowed us to weather continual changes in the tablet industry and offer our customers the security of longevity that almost none of our competition can claim. You successfully applied to join our mailing list! You will be sent an email to confirm your request. © 2019 Sand Dune Ventures, Inc. d/b/a TabletKiosk. All rights reserved.